Leke Beecroft takes you through a series on the growth of the Liberation Commission known as Winners’ Chapel International from a group of 70 in the ‘ Power House’ in 1981 to a Church of 3 ½ people by December 1983 to becoming one of the wealthiest and largest spiritual armies emerging out of Africa. 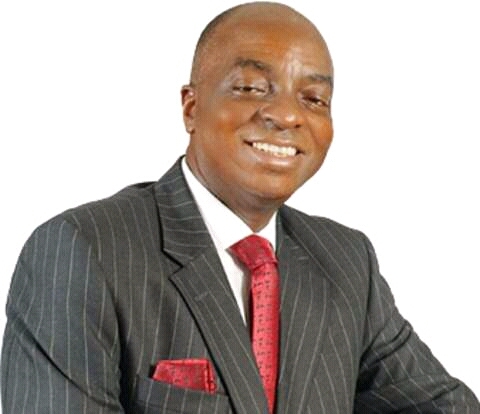 One of the unique factors about the ministry of Bishop David Oyedepo, Presiding Bishop of the Living Faith Church Worldwide is the message of prosperity which though heavily derided and mocked in the past and even heavily criticised up till now is no longer disputable. It would seem that the issue many might have with the prosperity message now is ‘ How much prosperity exactly is enough ’. It was thus mind blowing when Bishop Oyedepo declared that The Living Faith Church Worldwide will soon displace the largest financial institutions in the world, the International Monetary Fund ( IMF ) as well as the Paris Club also known as the World Bank . In a Sunday service , he declared ‘’very soon and surely before Jesus comes , we ( Winners Chapel) shall be strong as Paris club ; we shall be above IMF . ’’ He added ‘’the Federal Government has spent N9 Billion to build 6 universities, that is how much we have spent so far on Landmark University alone ’’ . Church Gist. As at 2016 , over $ 200 Million had been spent on the university. He said that church members will shortly be so blessed that there will be serious parking problems for helicopters in the church premises . It will be interesting to note that IMF and Paris club are two of the richest organisations in the world and they give loans to many countries including Nigeria. As of 2010 , the IMF , the richer of the two organisations was worth $266 Billion with about $65 Billion of that already loaned to different countries. The Living Faith Church Worldwide recently commenced a mind boggling 15,000 Housing project to be situated in Canaan land , Ota , Ogun State which is going to be the largest housing scheme in Africa and second world over . Dr Oyedepo, made the first announcement to this effect in December 2007 during the Church’s Annual Shiloh event . Church Gist. During the Shiloh 2016 Anointing service , he announced it again while slide pictures of the project were displayed on the large church screens. The church presently owns 3 aircraft and previously , had paid heavy parking charges at the airport . A member of the church once tried to help ease the situation by providing temporary parking for one of the jets . This soon spurred the leadership of the church to buy land at the airport for the construction of a hangar . Precisely in June 2010 , Dutum Construction Company, the firm who built the Landmark University College of Social Sciences commenced construction of the church hangar and final costs rose to about = N=350 million. Kenneth and Gloria Copeland , mentors to Bishop Oyedepo and regarded by many as the most financially successful pastors in the world as at today, run the Eagle Mountain International church aka Kenneth Copeland ministries which owns the Kenneth Copeland airport. Kenneth Copeland airport is located eighteen miles ( 29km) northwest of the central business district ( CBD ) of forth worth, in Tarrant country , Texas, USA . The airport is used solely for general aviation purposes , mainly those of Kenneth Copeland ’s ministry which is located near the airport . Church Gist. The airport was formerly known as Marine Corps station air station eagle Mountain Lake, until it was purchased by Bishop Oyedepo announced on March 20, 2011 that the church had acquired a new aircraft. As the aircraft arrived, the two older ones were sold off like it happened to the first one in 2004 . The aircraft have been very functional given the fact that during evangelism visits, the Bishop and his team of pastors on regular occasions visit up to 4 or 5 countries weekly, almost every week , the aircraft jets out of the country for missionary work according to our airport sources and always returns to base in Nigeria every weekend to enable preparations for Sunday services . It is impossible to maintain such a travel routine with normal commercial airlines while chartered aircraft are extremely expensive . On December 11th 2010 , Bishop Oyedepo declared that the Faith Tabernacle had become too small and there was need to move to a bigger place . The congregation gasped. Many in attendance also weren’t sure they heard properly. Also, Bishop Oyedepo announced to the pastors of the church a plan to build a 100,000 capacity auditorium . Again , he announced that the Tabernacle as functional as it was , had become inadequate . It will be remembered that movement in 1999 to Faith Tabernacle was because the Winners Chapel in Iyana Ipaja , Lagos had begun to run 4 separate services since her capacity had been exhausted . Furthermore, he stated ‘ don ’t you think that we have to be in this sanctuary ( 50,000 sitter ) forever, we have to start planning how to build another one. You say ‘’what are they going to build?’’ just relax! When the plans comes , you’re going to see the plan and the same one who built this ( 50,000 sitter) without putting pressure on you or me will do it again. We can ’t end in a small sanctuary like this. He ( God) couldn ’t be bringing all those people and expect that we would be here … for how long ? So we have 5 services ? Start service at 4 am? Or 7 services then you start at 12 midnight? … .. we will be stupid not to build another one because the present enlargement is for 7 years . We will also build a place for helicopters to land and there will be no place where we will have helicopters as much as we will have here for Sunday services . The church structure is broken into provinces, districts and zone with about 10 to 20 cells forming a zone. There are about 28,000 cells presently . Church Gist. During the past Shiloh 2015 and 2016 events respectively , the construction of the 100, 000 seat church as well as plans for members to buy the Canaancity homes were announced . As part of efforts to fill up the new structure on arrival, the Bishop announced that the church’s target was to achieve a goal of minimum of 600,000 members ( from 140, 000) at the Faith Tabernacle. By 2015 , attendance had crossed 400,000 . The new target is 3 services on commencement of the use of Faith Theatre. Faith Theatre will have a 100 ,000 overflow capacity facility . The church has plans to start a Lagos- Ota rail system to ensure easy transportation of members. The Nigerian government formally announced the approval in August , 2011 for private establishments to invest in rail transportation. Governor Amosun of Ogun State reiterated this during Bishop Oyedepo’s 60th birthday in 2014. Presently however , the WINNERS HIGHWAY , a four- lane expressway of over 20 km that will link Ayobo to Lagos is being constructed and a trip from Ota to Ayobo which will normally take at least one hour will now take about 30 minutes once this road has been completed . The church has commenced the construction of her 3rd university . Investigations revealed that the initial plan had been to build the third university in Calabar , Cross River state, before building the fourth in Abuja , the Federal Capital . However, due to the Nigerian governments desire to have a ‘ world class’ university situated in the capital , pressure was mounted on the church authorities to reconsider and locate the third institution in Abuja and these may well have paid off . The National Universities Commission ( NUC) thus visited Goshen, the site of the proposed university along the Abuja – Nassarawa Expressway. It was reported that they were impressed with the facilities they met on ground at the sight and the church authorities quickly corrected their impression and told them that the university construction was only about to begin and that the structures on ground were strictly for other church objectives. Requirements for the university construction is already available for deployment by the church which is known not to accept loans . Oyedepo stated that the university, just like Landmark University will be built without taking a single offering. The university may turn out better than her predecessors in terms of infrastructure by the time construction is completed. Bishop Oyedepo has stated firmly that the Church is not in competition with anybody . Speaking during the last Covenant Hour of Prayer service , he stated “ This current move of the Holy Spirit is not a church ambition neither is it a competition with any church or nation . This is not about building the largest church auditorium on the earth . We are not out to make any name” . Bishop Oyedepo said the whole agenda presently being pursued by the Church started in May 2nd 2015 when God told him “ I THE GOD OF WONDER DOUBLE , I AM VISITING YOU” . He said God showed him plenty planes in April 1982 and when he asked , God said to him “These are aircraft with you inside , bearing the gospel to the nations of the World ” . According to the Bishop “We are in pursuit of Divine Agenda and no one can stop divine agenda from coming to pass” . Bishop Oyedepo reminded that God had also told him in 1982 that very soon,he will see millions gathering and stated that 179 nations were already regularly connected to the Church services at Faith Tabernacle online. He said the Church was on her way to her realm of millions and that it was not the case of one big church doing a big thing but purely the ‘ Great God’ unfolding his plan .